Imagine posessing the ability to operate your business from anywhere, while allowing your all important business functions to be managed by a team of qualified professionals. These days, more businesses are following this trend and taking to outsourcing their less core business functions, while rather focusing their efforts on the areas they specialise in. Delegating certain non-core operational aspects of ones business allows a company to become far more streamlined, efficient and in some instances even more profitable. Whether your business has dedicated office space in one location, multiple addresses across the country, or only a virtual office, outsourcing of services is something businesses need to consider. Even more so if your business is based from home, but wants to portray that all important professional image, a virtual office is a great way to do that. Why a Virtual Office makes sense? A virtual office is an opportunity for business owners to have a solid base whilst delegating their non-core operations. Imagine the boost to your business image by having a space in a presentable office building, where your business’s calls are answered by professional reception staff in your company’s name and all clients meet with you in an impressive ofice environment with state-of-the-art meeting and presentation rooms. By investing in virtual office space, business people are able to enjoy the benefits of a traditional offices but while conducting their business from anywhere, and ensuring the highest level of professionalism to ones clients. 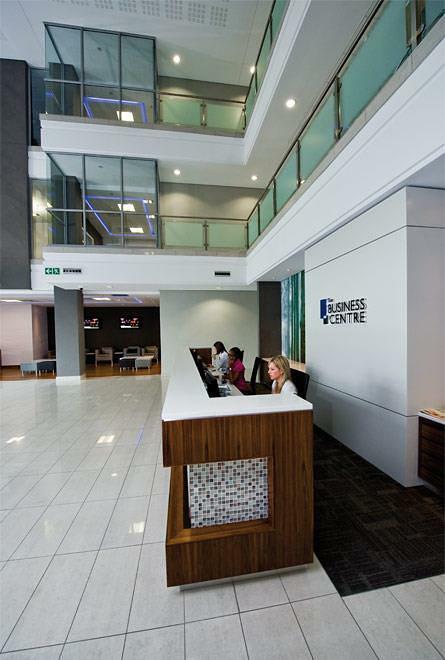 If you are interested in hosting a 3, 6 or 12 month virtual office with The Business Centre, click here for more information.